1. normal chat with profile icon (both user and bot). Basic idea is user will register/login into app, then set bot settings. Once settings done, user will get redirected to actual chat screen. Don&#039;t have any name or logo for this app, if you have some idea please submit will consider it. For settings page, user will able to attach multiple bots from multiple platforms like Google Dialogflow, IBM Watson etc. 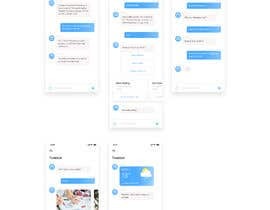 So would like to have some icons e.g link Dialogflow bot. Which will open some additional fields. This is required as different platforms have different parameters to attach clients. Deliverables should include Mockup files with icon & fonts. 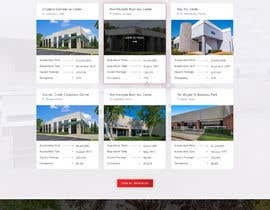 Have updated deliverables, need Mockups only. HTML is optional now. A small update for settings page, user will able to attach multiple bots from multiple platforms like Google Dialogflow, IBM Watson etc. 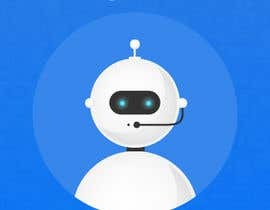 So would like to have some icons e.g link Dialogflow bot. Which will open some additional fields. This is required as different platforms have different parameters to attach clients. Hi All, Please submit you actual ideas. I don't want any kind of promotional flyer or some other designs like entry #1 or #2. 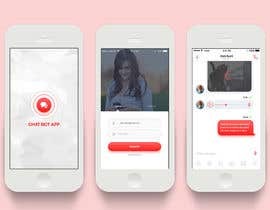 I need just chat app design. And I have limited time and budget for this, so can't extend it.